I have been busy tying up 2016 bookkeeping obligations and the bulk of the work is now done so I look forward to getting back into my restorations! ðŸ¤˜ðŸ�¼ As I wrote this, we are on our way to NYC to visit the first oddities flea hosted by the cast of Oddities, a show my family enjoys. 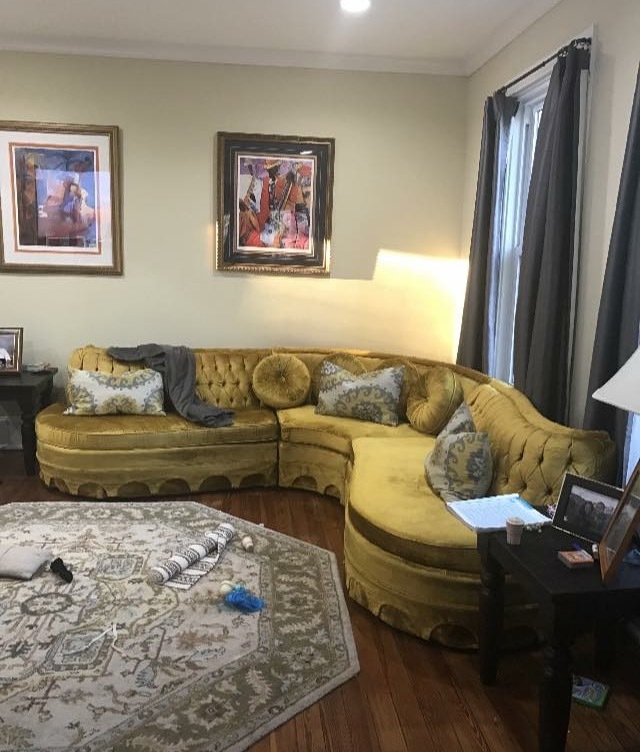 Although I don't keep a large collection of odd items, I will pick things when I find them. Most recently I had a large stash of 20-30's era pharmacy bottles with the original chemicals still inside, I did keep a few for myself! I also recently sold a deer skin hide. Although I do not go out of my way to source these items, I appreciate the unusual! We are looking forward to navigating our way to Brooklyn for the show! PROMOS GOING ON THIS WEEK: Â The etsy shop is currently 10% off. No coupon required. New listings will update automatically and there is a delay so if it is not showing the sale price, check back in a little bit. CHECK OUT BY 11pm MAR 17th! Shopping local next weekend? 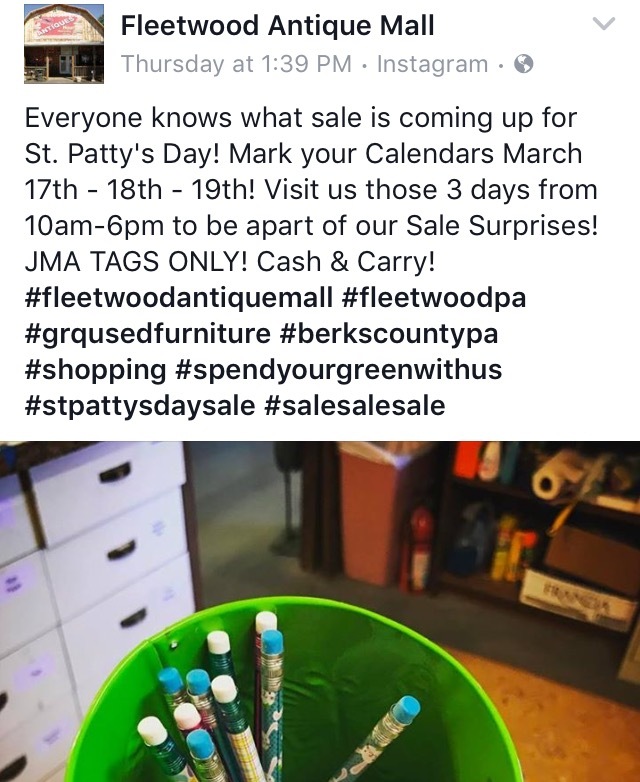 Join the fun at Fleetwood Antique Mall for a great St Patty's Promo. My booth is included in the sale as are many others. You will pick your discount!